The reissue blog has been on the boil for almost eight months now, and over that time I’ve reissued 51 of the 71 Ogg-Casts that will need that treatment. I’ve had to listen to every one of them, start to finish, to make sure there are no errors that slid through the net first time round – and in doing so I’ve been rediscovering some of the bands I haven’t featured in far too long. 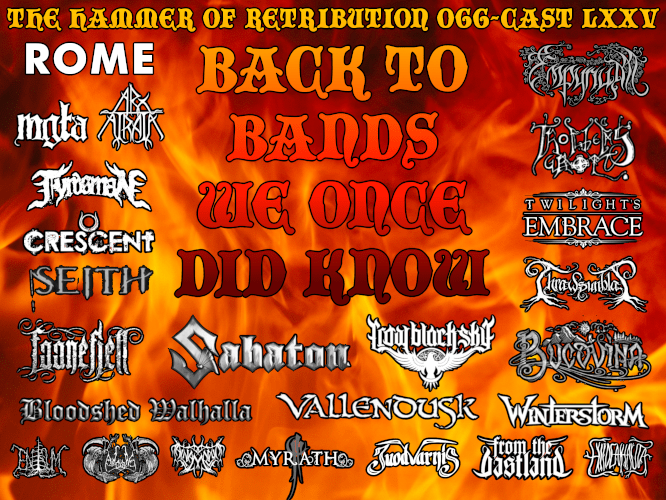 Sabaton and Juodvarnis were the two bands I had on Ogg-Cast 72 that made me think of making this review show where others who had been similarly dormant are brought back to be celebrated once more. Quite a few of them, it turns out, have made new albums this year, which are well worth catching up on.